It was inevitable that Joe Biden's buffoonery, "This is a big f---ing deal," would be immortalized on a t-shirt. Biden marred a historic moment with his foul language. He and Obama must drop F-bombs so routinely that it didn't strike Biden as inappropriate to use that language when speaking to Obama at the government-run health care bill signing ceremony. So, Biden's quote is on a t-shirt. Of course. What's not OK is that BarackObama.com, Obama's perpetual campaign site, offers a shirt emblazoned with Biden's disgrace. 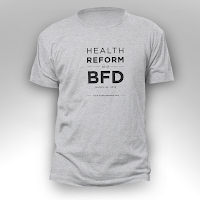 Go to the store and you'll find a "Health Reform is a BFD" men's t-shirt for $25.00. There are things that are a big deal -- birthdays, anniversaries, the NCAA Championship game. 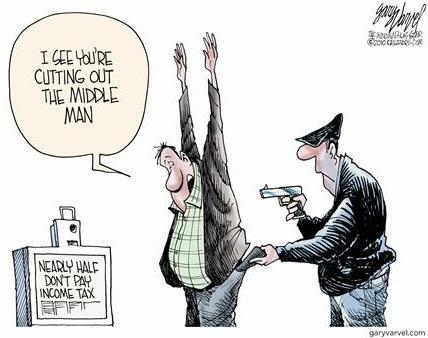 And then there are things that are a BFD, like delivering health insurance to 32 million Americans. We worked hard together to make health reform a reality, and now you can celebrate this historic victory with this shirt. This shirt is super-soft, fine jersey cotton, union-printed, and made in the USA. Due to high demand, please allow 6-8 weeks for delivery. This is an Obama-approved item! 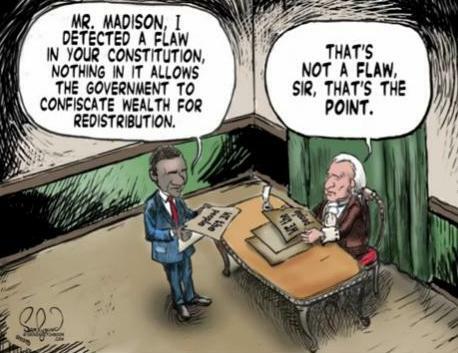 Obama is profiting from the F-bomb. How very classy! 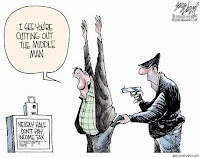 Obviously, cashing in on Biden's foul mouth is more important to Obama than maintaining his dignity and the dignity of the office. Give me a break. 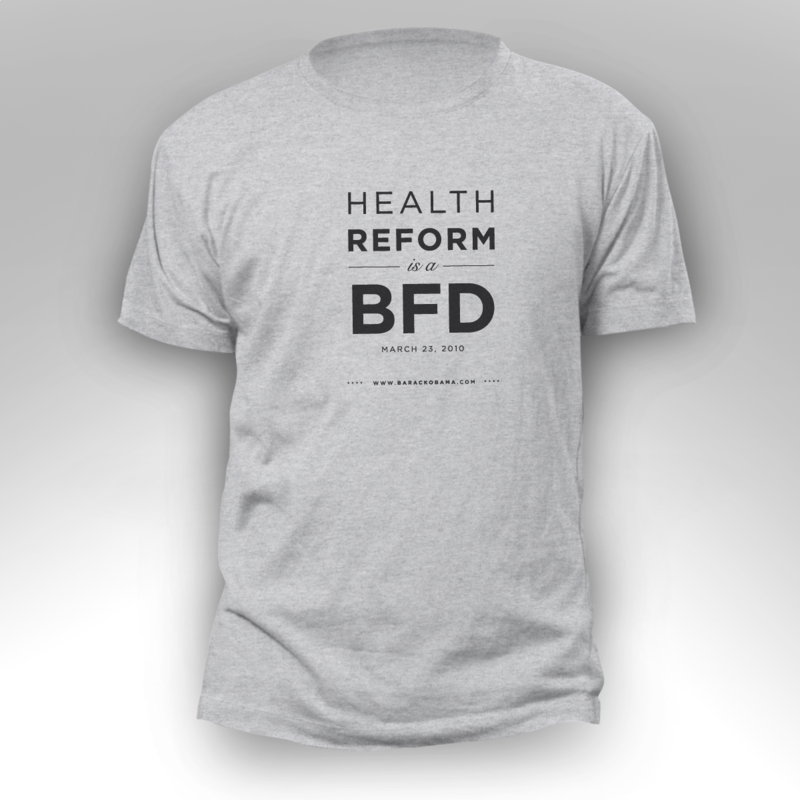 Putting "BFD" on a t-shirt isn't the end of the world, you holier-than-thou prude. I don't mind that our president has a sense of humor. Stop trying to turn every little thing into a scandal. Worst President in history. No contest.